This cute condo in this gated complex is the perfect getaway place! Come here once and you will always want to return to the Capri. Enjoy the sunrises/sunsets from the deck and complimentary beach service in season. a guest from Castleberry, AL does not recommend this vacation rental. Thank you for sharing your feedback. We are pleased to know that you were so happy with our team and our facility! We are sorry to hear that the weather affected your stay. We hope to welcome you back again for another stay with us when the weather is more suitable for many wonderful beach walks! we had one night of our 5 night stay due to mandatory evacuation of Hurricane Micheal. over all for the room itself it was a nice place. thanks for the 2 night credit for another stay. We appreciate you staying with us and we're pleased to know that you had a nice stay, albeit short due to the weather. We're relieved to share that this area was unaffected by the storm. We look forward to seeing you back soon for a longer and even better stay with us, here at Capri by the Gulf in beautiful Destin, FL! Greatest Beach Place Ever! Hidden Treat! This is one of the best places to rent from. They are so attentive and their communication is extremely helpful. The place is quaint and reminds me of places where I stayed when I was young only with the updated feel! Love this site. Thank you for sharing your review for Capri by the Gulf #120. We are delighted to know that you so enjoyed your stay in this beautiful condo and that you were reminded of pleasant memories you had at the beach when you were younger. Thank you for your kind words for our team as well, we appreciate that. We hope to welcome you back again soon for another stay with us at the Capri here in beautiful Destin, FL! We enjoyed our quaint stay and the beach access was close and suitable. Our kids enjoyed the beach thoroughly. Thank you for sharing your review for Capri by the Gulf #120. We are very pleased to hear that you and your family so enjoyed your stay at the beach and that you all had a nice family vacation! 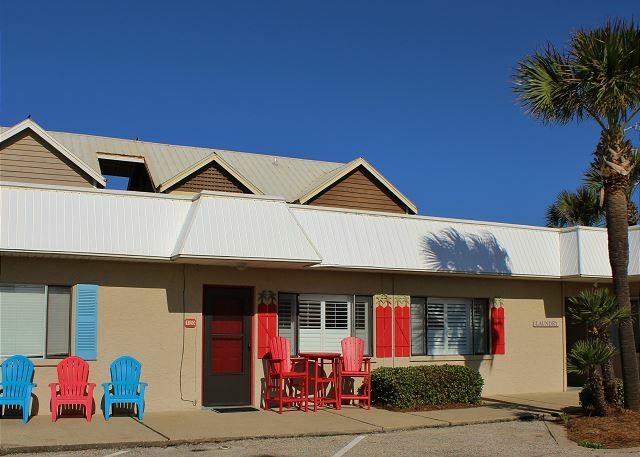 We hope to welcome you all back again soon as our guests for another beach vacation stay with us here in beautiful Destin, FL! Capri by the Gulf is my favorite place to stay when I take my annual take-care-of-yourself-and-your-soul weekend beach trip. I'm a teacher, so it's just what I need to get refreshed and restored for the rest of the school year! I've stayed in other HBV properties and never had a single regret working with them! Thank you for sharing your review for Capri by the Gulf #120. We appreciate having you as our returning guest and we're thrilled to hear that you've always been pleased with your stays with us! We are happy to know that you so enjoyed this stay as well, and that you were able to get refreshed for the upcoming school year. We hope to have you back soon as our guest here at the Capri in Destin! Rental is in a great location. The beach is gorgeous!! Thank you for sharing your review of Capri by the Gulf #120. 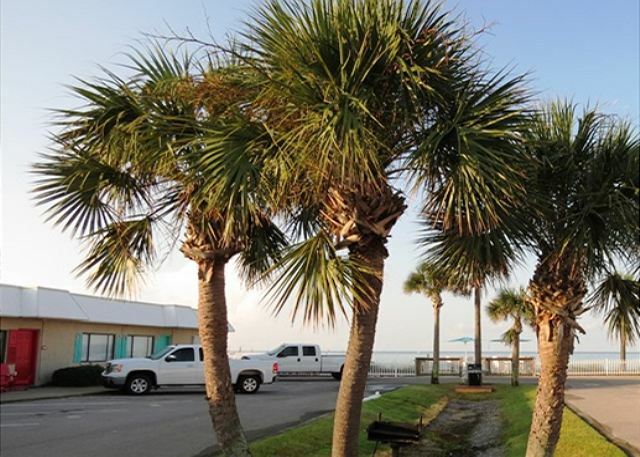 We are pleased to know that you so enjoyed this great beach front location and that you enjoyed the beautiful beach! We hope to welcome you back soon as our guest for another beach vacation stay with us! We spent a few days here. The condo was up-to-date and clean, and the office staff members were very courteous. . Being able to walk out the front door, down the steps and onto the beautiful white sand is a big part of the reason we chose to stay here. It's also reasonably affordable. The full kitchen was a plus; even though we ate out for most meals, it was nice to have an alternative for the times we didn't feel like going to a restaurant. The property is located on a quiet street, but it's still close to all the area attractions and restaurants. My one complaint about our stay was the fact that people from two different condos were smoking on the property the first day we were there. I don't enjoy choking on cigarette smoke when I'm trying to enjoy the sea breeeze and beautiful view...other than that, everything was great. Thank you for sharing your review for Capri by the Gulf #120. 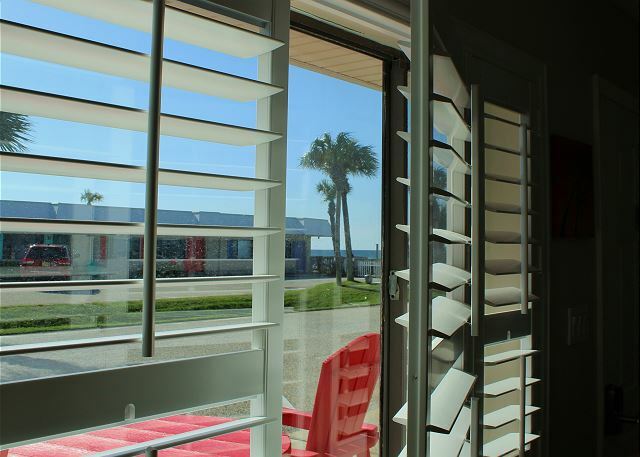 We are so happy to know that you all had such a pleasant stay with us in this beautiful beach condo! We are also pleased to know that you were happy with the service of our staff! We hope to welcome you all back soon as our guests for another wonderful beach vacation stay with us here in beautiful Destin, FL! This vacation spot was perfect! Very cozy, convenient, and clean. I felt extremely safe with the Gated community. I also loved being able to park just outside the front door. No waiting for elevators or circling the lot for a parking spot. We will definitely return! Thank you for sharing your review for Capri by the Gulf #120. 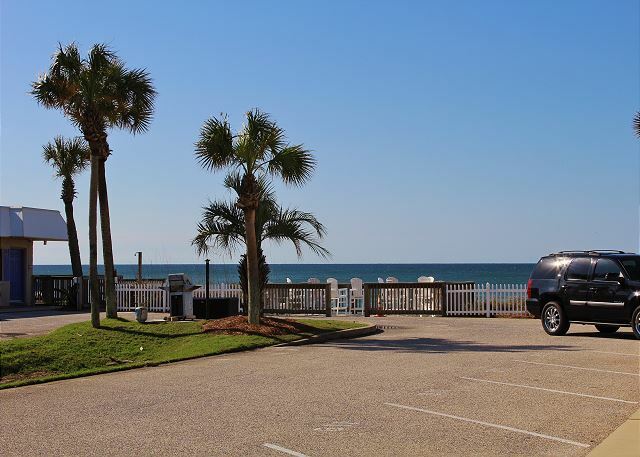 We are so happy to hear that you all had such a wonderful beach vacation stay with us in this beautiful beach front condo and that you enjoyed the community being gated, as well as the convenience of parking in front of your condo! 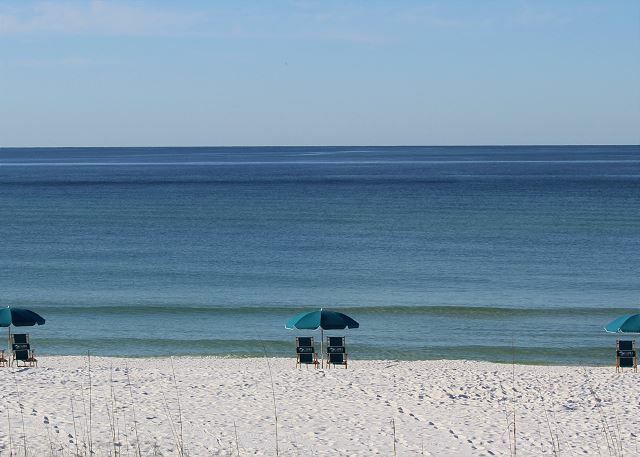 We look forward to having you all back soon as our guests here on the beautiful Emerald Coast Beaches! The rental was perfect. We had no problems and really enjoyed our vacation! Thank you for sharing your review for Capri by the Gulf #120. 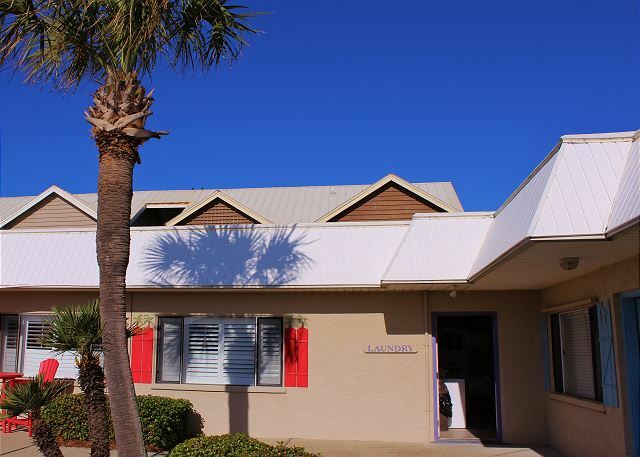 We are pleased to hear that you had such a wonderful stay with us and we would love to have you all back again soon as our guests at the beach in Destin! The staff Angie and John and Karly are so accommodating . Thank you for sharing your review for Capri by the Gulf #120. We are so pleased to know that you all had another wonderful stay with us here in Destin! We're happy to hear that you enjoyed John, Ange, & Karly accommodating you during your stay, and we'll be sure to share your kind words with them. We look forward to having you all back again as our guests next year! The experience was great and the Rental was perfect for my boyfriend and I's stay! Great beach access and loved the little personal touches with wine, popcorn, and towels!! Thank you for sharing your review for Capri by the Gulf #120. We are happy to hear that you all enjoyed your stay with us at the Beach, and that you enjoyed the wine, popcorn& towels! We would be delighted to welcome you all back soon for another wonderful beach vacation at the Capri! I got exactly what I hoped for. Thank you for your review of Capri by the Gulf #120. We are pleased to hear that you all had a Fun Family Trip and that it was what you had hoped for. We hope to have you all back soon as our guests in Destin, FL! Thank you for your review. We are delighted to hear that you all got the Wonderful, quiet & peaceful vacation that you wanted. 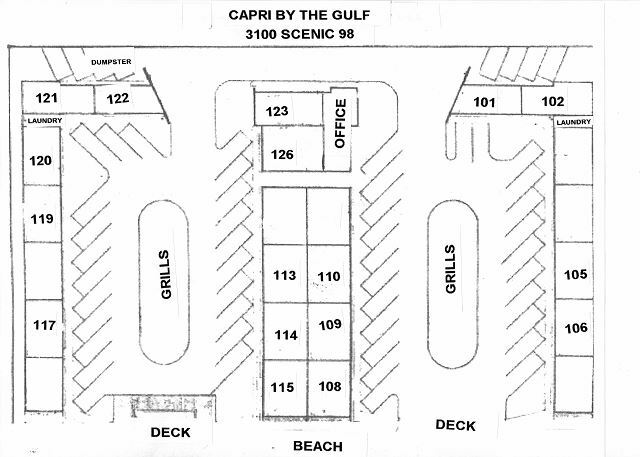 We're glad that you enjoyed the complimentary beach service and the Capri by the Gulf community. We would be happy to have you all back soon for another wonderful beach vacation in Destin, FL! Everyone was extremely friendly. This was my second time to stay at Capri and will be back! The atmosphere was quiet and made friends with our neighbors! Thank you for your review for Capri by the Gulf #120. We are quite pleased to hear that you all had a wonderful vacation stay with us and that you were able to enjoy the quiet peaceful atmosphere, as well as that you were able to enjoy the company of fellow vacationers at the Capri! We would love to have you all back soon as our guests in Destin, FL! Great location! Staff were really friendly. Some furniture needs to be replaced and room smelled a little musky. But often to be expected with beach rentals. Best part was that you could park in front of your room and the gated Capri made you feel really safe. Thank you for sharing your review. We are delighted to hear that you all enjoyed your stay with us at the Capri! We appreciate your suggestions as well. We hope to have you all back soon as our guests at the Beach! Wonderful ... Condo was in great condition, beach was beautiful !!!! Thank you for your review. It is wonderful to hear that you had a wonderful stay with us at Capri by the Gulf! We hope to have you back soon as our guests at the Beach! Excellent experience in every regard. Right on the beach and family enjoyed immensely. Thank you for sharing your review. We are so pleased to hear that you all enjoyed your stay with us and we would be happy to welcome you back soon as our guests at Capri by the Gulf! Thank you for sharing your kind review. We are very happy to hear that you enjoyed your stay with us and we look forward to having you back soon as our guests in Destin! We really enjoyed our visit, which was made even better by a competent, caring staff. Being on the beach side of the road was a huge benefit, and the property was very well equipped and maintained. Very positive experience. Thank you for sharing your kind review. We are so pleased that you all enjoyed your stay with us and welcome you back anytime as our guests in Destin! Thank you for sharing your kind review. We appreciate having you as our guests and we welcome you to come back soon as our guests on the Emerald Coast! We stayed here last year and chose to stay here again. We love the fact that we just walk to the beach, you don't have to cross the street. It was perfect when my teenage/tween boys wanted to go back to the room and my husband and I could stay at the beach. Also love the complementary umbrella and 2 beach chairs. Everything was perfect! It was super having the private beach! The condo was really nice! ! I have stayed at the Capri several times now & as always the rental that we had was super! Everything we needed was right there! We were close enough in to Destin to be able to do anything we wanted. One major plus is the private beach and availability of beach chairs! The outside shower could use some work but the availability of a gas grill was awesome too! Overall I'd give it a 10/10! Love it there! Thank you for sharing your review. We are so pleased that you all enjoyed your stay with us and we appreciate having you as our guests in the past too! We look forward to your next visit with us at the Capri! Cannot wait to come back again next year! We have been coming here since 2005 and have yet to have anything unpleasant. Everything has always been perfect and we tell everybody about our lil place. Our four year old son calls it out beach home and he is right. Cannot wait to come back next year! Thanks for the memories! Thank you for sharing your review. 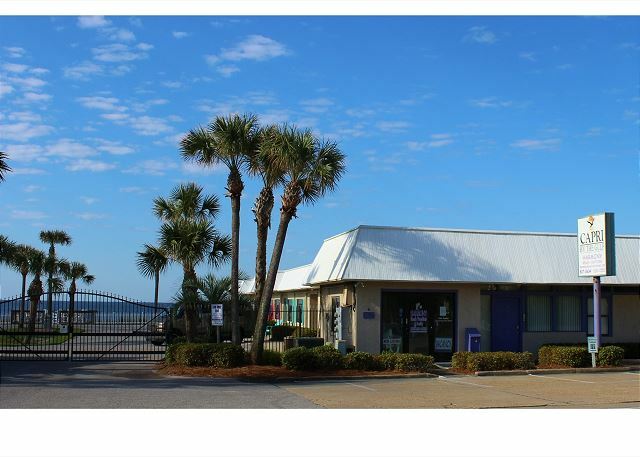 We appreciate having you stay with us through the years at your 'beach home! ':)We look forward to having you back soon! as always, great stay! always lives up to the best!! Thank you for sharing your review! We are glad you all had a pleasant stay with us and we hope to have you back as our guests soon! Great place and great value. Super visit to Destin fl. Thank you for sharing your review. We hope to have you back as our guests soon! Great! Rental was very clean, beach was perfect. Thank you for sharing your review. We're glad you enjoyed the home and the beach. We hope to have you back soon as our guests in Destin! Nice Destin get a way. The location is perfect, the condo was very clean and the staff very nice and helpful. Would stay again. The chairs out front need to be replaced or repaired for unit 120. Thank you for sharing your experience. We appreciate your feedback about the chairs too. We hope to have you back as our guests soon! What a great find. You walk out your door and onto the beach. No street to cross. Also, since only about 20 units, the beach was never crowded and you did not feel like you were on top of others, unlike other hotels. The kitchen had everything.